Travel with this personalized RuMe® tote! This convenient custom travel tote keeps you organized while away from home. 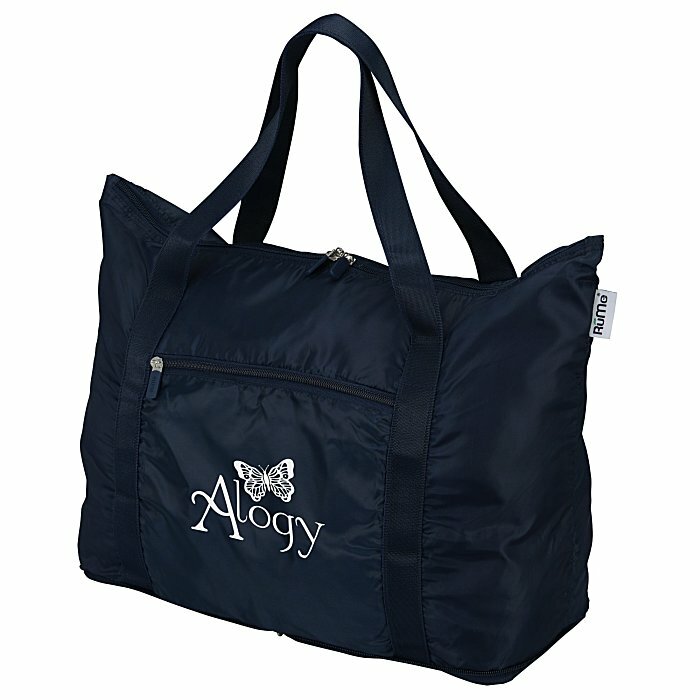 Travel tote features a zippered main compartment as well as a zippered front pocket. Made of water-resistant polyester with a reinforced bottom and 24" carry handles. The back pocket converts into a trolley pass to fit over the handle of your rolling luggage. Tote easily collapses, folds and zips into itself when not in use. Size: 13-3/4" x 17" x 7". Your price includes a one color imprint centered on the front pocket.